The Khorana Program, the S.N. Bose Program, and the Viterbi program are summer exchange internships between the United States and India. All three programs run for 8-12 weeks from the end of May to the end of July, and participating students return to India by August, hitting the books for the new school year. 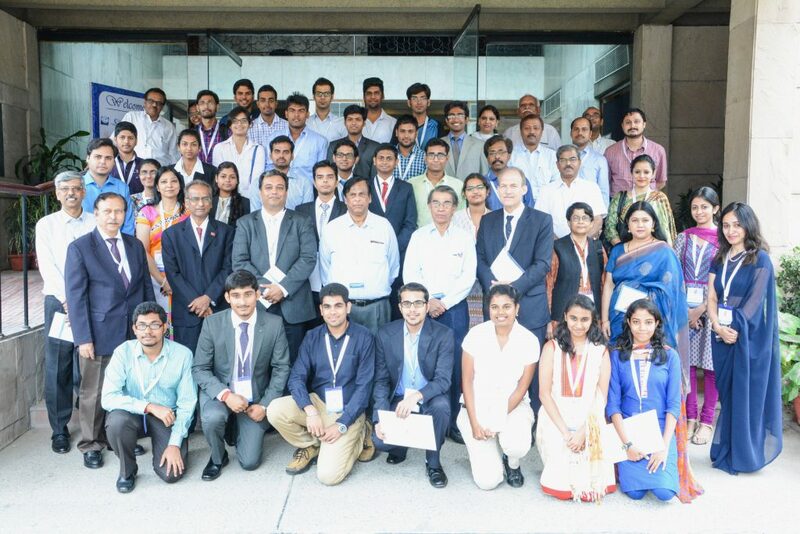 In order to unite students and mentors from all three programs, a Student Symposium was organized in New Delhi on August 22, 2015. The Symposium was sponsored by The Department of Biotechnology (DBT), Govt. of India, the Department of Science and Technology (DST), Govt. of India and the Science & Engineering Board (SERB) in partnership with the Indo-US Science and Technology Forum (IUSSTF). 2) Allow the scientific heads and agency officials who support and sustain the three programs to learn more about the projects the students worked on during their internships in the United States. 2. Professor T.K. Chandrashekar, Secretary, Science and Engineering Research Board, Govt. of India Professor Aseem Ansari, Director of The Khorana and Bose Programs, University of Wisconsin-Madison. 4. Professor Aseem Ansari, Director of The Khorana and Bose Programs, University of Wisconsin-Madison. The speakers congratulated the scholars, encouraging them to maintain and build upon the collaborations and friendships they had developed – with their labmates in the United States as well as amongst themselves. They highlighted India’s growth into a major world economy and the extensive scientific opportunities available to talented and driven future researchers in India. Delivering the Keynote Address was Dr. T. Ramasami, Former Secretary, Department of Science & Technology, Govt of India. He encouraged the young scholars to work hard and contribute to the rapidly advancing Indian scientific community, as well as to, “forge new partnerships and help create sustainable, long-term networks in the mutual interest of both India and the United States.” Six Khorana and S.N. Bose scholars shared their experiences with the audience, thanking all the organizations involved for providing them with the opportunity and emphasizing the powerful impact the programs have made and will make in their lives. During the symposium, the program directors presented the scholars with certificates in recognition of their achievements. The scholars had the opportunity to present details of their summer research during a concluding poster session.